Review by Master of the Seas on 6/29/2012. A decent map of RuneScape, however there are a few typo's (for example Meiyerditch), and a few places one would expect to be linked but aren't (East karamja and west Karamja for example). The bonuses are reasonably balanced, and no particular zone ensures 100% winning. Would love to see a much more detailed version of it, but its quite good as it is. Review by XxHeavenBoundxX on 2/6/2014. Review by Darkenvy on 11/8/2013. Review by Mark The Destroyer on 1/25/2014. I like the wide open beginning. It takes several turns to conquer a bonus area. Fun map to play. Review by firekirby135 on 1/2/2014. Review by Cyssoo on 6/14/2012. Not a bad map - sometimes it's difficult to tell which territories connect. 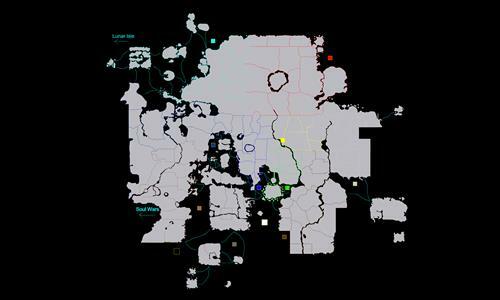 But that being said, the only real flaw in this map is that the bonus areas are far too large. It is almost impossible to control even a single bonus, meaning the game goes on forever. Review by Dave Inga on 3/5/2015. Good design. bonuses for morytania, desert need to be reduced. Bonuses for Varrok and Falador need to be increased. Overall, it was very fun to play!